Guest post by Ed Zitron of EZPR. This is a guest post by Ed Zitron, Twitter user and EZPR founder. 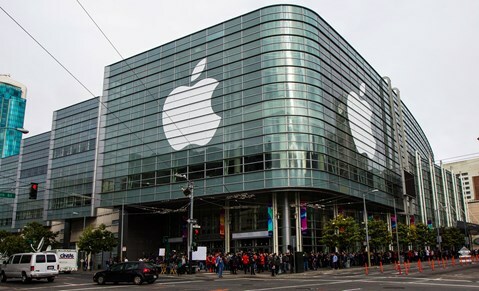 The Apple World Wide Developers Conference runs from today through the 12th. If you don’t know that and you’re in tech PR, quit your job today. Unfortunately, this is the worst day of the year for you to work. It’s true that you can complete some busy work this week: you can write some press releases and get your agendas done for calls that will mostly amount to “it’s a busy week for reporters.” If you have a launch this week, then the work should have been done last week or the week before. So what are you doing this week, then? Here are some tips. Seriously. Put down the damn phone. Don’t email anyone. Also, call nobody. Do not make a phone call. Do not pick up that phone except to call your mother or your father and tell them you love them or dial 1-900-Mix-a-lot and kick those nasty thoughts. These are all more useful than pitching a reporter on the phone today. I’m going to spend the next day or two editing my book and writing blog posts like this one. You probably have a release to write, or your horrible boss is making you write a call agenda this will ultimately be worthless to all involved parties. You might have to ghostwrite a blog for someone even while your agency claims not to do this sort of thing (THEATRICAL WINK HERE), so get to it. Maybe you could even work on a blog post for your agency’s site. But if it has anything to do with Game of Thrones or WWDC, just stop. Unless you have a former Apple executive who’s working on a new project, your expert is almost certainly not useful. You are not going to have your expert featured in WWDC coverage. You may see one and say “that should be my client!” but you’re probably wrong because these people really are not important…and you’ll be forced to turn to spray-and-pray to get placements. I’m usually the guy who says “you’ve gotta learn,” but it’s a waste of your time to watch the live keynote of the conference. You definitely have better things to do–and you can read an entire summary post about an hour after the livestreams. Everyone else in the room and around the world will be tweeting about Apple “doing a thing.” And arbitrarily tweeting what just happened in front of you in the style of Randy Newman will probably not lead to much in the way of engagement. So resist the urge. If your boss is making you do it, email me his/her name. Even 1Password, a company I respect, tweeted “what are you looking forward to at #WWDC” today, which is the most lame duck “me too!” rubbish you can push onto the internet. Think about it: what’s your goal here? Do you really want to star a conversation, or are you cool shouting into the echo chamber? Seriously, this week provides you with a great day (or two) to have fun together. Take a half day; get a drink; talk about the good/better/best times. Bring all you dogs into the office and watch them play together. Weeks like this one are the worst for PR, and I just want you to be happy.